LIHauntedHouses.com features all of Long Island's best haunted houses, hay rides, mazes, pumpkin patches, haunted attractions and fall fun that you're looking for the 2019 Halloween Season. Whether you're a thrill seeker looking for the best local haunts across Long Island, or you're looking for Fall Festivals, and the more family-friendly side of Halloween Fun, LIHauntedHouses.com has what you're looking for. 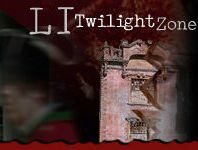 Since 2004, LIHauntedHouses.com has helped locals across Long Island make the most out of the Halloween Season with comprehensive listings for all of STATE NY's best attractions, including dates of operation, in-depth bios, photos, social media feeds, and so much more! Our blog also features a deeper look into this year's Halloween Fun, including the latest Haunt News, Halloween Fun & Games, Seasonal DIY ideas, and the nitty gritty details of Long Island's REAL Haunted attractions. Have a local haunt and want to get listed? Give us a call at 888-228-5265 and speak to a LIHauntedHouses.com representative today! Head to the Haunted House of Hamlet Road for a Free & Spooky Halloween Display! Frightening Fun in Store this Halloween Season at Falcon Cemetery in Levittown! Thrills and Chills Await this Halloween Season at the Yaphank Trail of Terror! Tons of Scary Good Fun Happening this Halloween Season at Falcon Cemetery! Frightening Fun in Store at Joe Allocco's Franklin Square Horror for the 2017 Halloween Season! Ultra Violence II: Vampires is Coming to NYZ Apocalypse! Celebrate Friday the 13th with Jason Voorhees at NYZ Apocalypse's Special BLACKOUT Event! It's Your Last Chance to Check Out the Festive & Frightening Fun at Escape the Dark: Horrible Hanukkah at NYZ Apocalypse! Get Your Scare On this Holiday Season at Christmas Haunted Houses Here on Long Island! 'Tis the Season to Experience the Holiday Horror at NYZ Apocalypse! Do You Have What it Takes to Brave the Holiday Horror Happening at NYZ Apocalypse? Check Out the Terrorizing Fun Happening this Halloween Season at HorseAbility Haunted Hay Barn! Clown Hysteria Has Come to Deer Park - Clowns Spotted at Zombie Survival Experience! Haunt-Faire 2016 Set to Take Over The Clarion Hotel This Weekend! NYZ Apocalypse Presents: "Trumpocalypse, Make America Sane Again" - Opening Memorial Day Weekend! Suffolk Theater to Debut A New Production From The Producers of Tony & Tina's Wedding: The Zombie Wedding! New Holiday Horror Show has Guests Up in Arms… Literally! Take a Haunting Trip to Sands Point Preserve’s Haunted Castle Before Their Doors are Sealed Once More! Spooky Fest: Scary Chills for the Brave and Fun Thrills for All Ages! Spooky Walk: A Seemingly Endless Path through Frightening Woods! Farmingville FD Fright House: Unique Frights at an Unbeatable Price!